All of our foundation make-up courses on offer are the prerequisite needed before moving on to creative work. The courses are designed to cover all the basic professional skills required to cover day make-up, evening looks, bridal work and special occasion make-up. They are the perfect start for beginners or those who wish to refresh their skills and for those wishing to take up private consumer work. You will be taken through both basic make-up and more difficult techniques. You will be working in a professional studio environment and paired up; therefore it is not necessary to bring a model to work on. The courses are well balanced between demonstration and hands on work shop with the emphasis very much on practical skills in professional make-up application. The foundation course can be taken either full time for two weeks Monday to Friday of part time during the day, evenings or weekends. 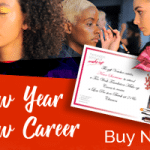 The courses are inclusive of a wide range of top fashion brands and skin products and includes a complete set of course notes for your reference. 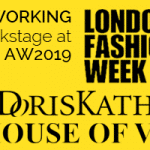 This is the next step up from a foundation level and is perfect for those who wish to develop skills in the art of high fashion/photographic, editorial and catwalk (runway) make-up while examining the latest fashion trends. One of the highlights towards the end of the creative make-up course is working on your own colour photo shoot in a studio on a model from a London agency and photographed by a fashion photographer. This will not only give you an insight as to what is expected of you in the real world but also provides you with your first photographs to start your portfolio. The creative make-up course can be taken in conjunction with the foundation make up course, full time over four weeks from Monday to Friday and is listed in the course section as: “Foundation & Creative Course”. For those who are seriously considering a career in high fashion and media makeup, our photographic and media makeup courses are the most comprehensive and ultimate make-up courses for you. It includes the foundation makeup course and the creative make-up course plus the photographic and media section over a period of eight weeks Monday to Friday. This is our most popular course for those wishing to take up a professional career in make-up, however it can be taken in sections over a period that suits the individual. The first four weeks will take you through the same techniques and curriculum as set out in the foundation and creative section and then followed by a further four week covering, monochrome make-up (black and white photographic work), session hair styling, media make-up, air brushing, fantasy, show girl, period and special effects, burlesque and body painting. You will also work on a professional model from a London agency with a leading fashion photographer in a studio creating both a colour shoot and black & white (monochrome) look. The photographs from this shoot will be handed over to you towards the end of the course so that you can start up your own portfolio. All products such as make-up, skin care and disposables are included along with a disk with the photographs from your professional studio shoots. If you’d like to view any of our courses in more detail or apply for a different type of makeup course in the future. Click here for a list of our entire selection.